Here are two variations of looping through rows in Oracle PL/SQL. The FOR structure reduces the amount of code, in either case is it more perference than anything else. The screen shot below is from an ASP.NET Upload control that was used to load files to a database. The grid below the control shows what items were uploaded. On another page I list all the documents that were load for the user to select to print. 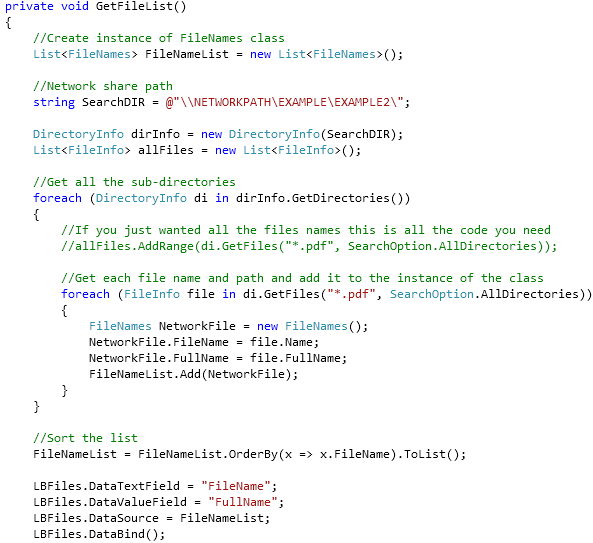 Code to take the uplaoded file and make it into a Byte Array. The variable DocumentOBJ contains the uploaded file which can then be saved to the database. Note: If you save the object to the database you need to save the FileType which can be pulled from the FileUpload.PostedFile.FileType property. The code below takes the object above (or from a table) and renders it to the browser to open.